We help stray and unwanted animals by providing veterinary care and a safe, loving environment while they await their perfect forever homes. To sterilize and provide veterinary care to animals in need and to provide a safe, loving environment while we seek to place each animal in a permanent, happy and loving forever home. We are a 100% volunteer based organization that strives to help animals in need. Whether an animal ends up at a local pound or is found as a stray trying to survive on it’s own, we want to do what we can to assist. While the initial plan was to operate out of foster homes where the animal can reside in a safe, loving environment while they await adoption to a forever home, lack of committed and reliable foster homes has changed the rescue into more of a shelter facility operated out of our rescue founder’s home. In October 2016, an 8 acre rural property and home south of Sperling, MB was purchased by Kathy and rescue operations were relocated there. All animals in our care are seen by a veterinarian and will be spayed/neutered, tattooed, vaccinated, and dewormed prior to adoption. We operate on a small scale and can only take in new animals when we have space at the shelter or an appropriate foster home available and when we are in a position financially to provide the supplies and care necessary. Please consider donating and/or volunteering to help us on this journey to save lives. We are a unique rescue in that we make a commitment to each animal that comes into our care and strive to find each animal the forever home best suited to it’s individual needs, regardless of how long that takes. We take our time getting to know each individual animal and do not rush them through our system. While we may not take in and adopt out large numbers of animals each year, every animal in our care receives the absolute best quality of life while awaiting adoption. After they have been fully cleared by our veterinarians, all animals are given an opportunity to de-stress in our Director’s home in a rural, cage free environment. Dogs co-habitate and socialize with other dogs, and cats join one of three free range rooms where they can interact with other cats. Animals that are deemed “unadoptable” for reasons of behaviour or health will be given sanctuary and allowed to live out their lives at the rescue or in a permanent foster situation. We are always in need of foster homes for certain animals, as well as monetary and supply donations to keep us in operation! Contact us for details on how you can help and be part of making a difference in the lives of animals in need! 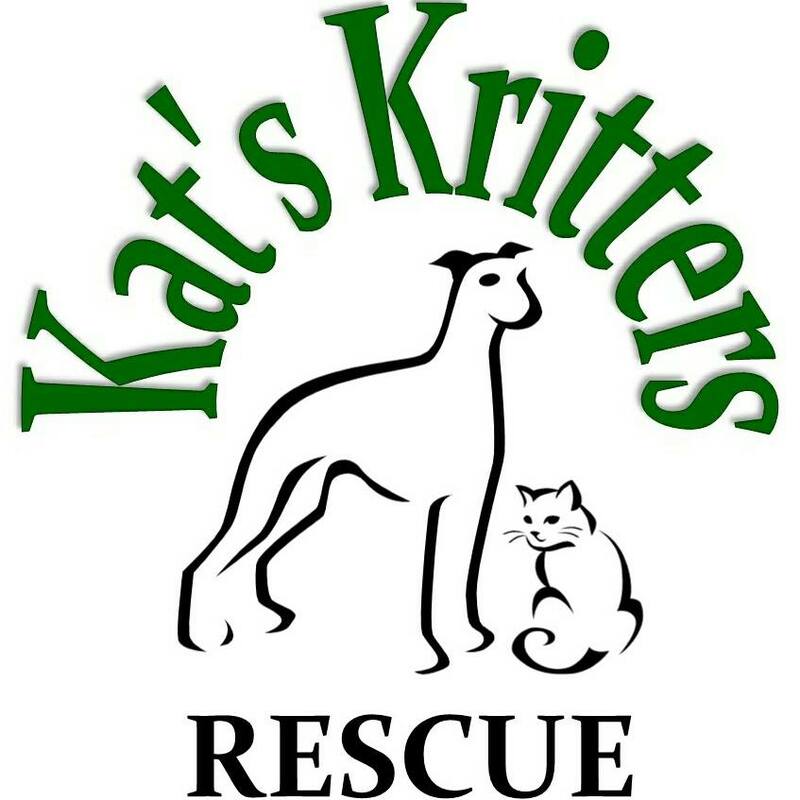 Kat’s Kritters Rescue believes that all animals, not just companion animals, deserve our respect and love. All events will serve food that is vegetarian and/or vegan and we will not exploit animals in any way to raise funds. Our hope is to extend our compassionate views towards animals to our followers and to foster respectful public dialogue. We recognize the value of all animals and desire to do our part to reduce animal suffering. We make a commitment to each animal that comes into our care and strive to find each animal the forever home best suited to it’s individual needs. We are always in need of volunteers as well as donations of supplies and money to keep us in operation! Contact us for details on how you can help and be part of making a difference in the lives of animals in need!